If you’re struggling with an alcohol addiction, then you know what it’s like to feel helpless and alone. Too many people struggling with addiction don’t know how to let their friends in. This is tragic because your friends can be your most powerful ally when striving to overcome addiction. It’s easy to think that your friends will abandon you if they find out about your problem. However, if they are real friends, they’ll stick around no matter what. Most likely, your friends already know about your alcohol addiction and they just don’t know how to help. If you’d only let them in, they’d help you eagerly. 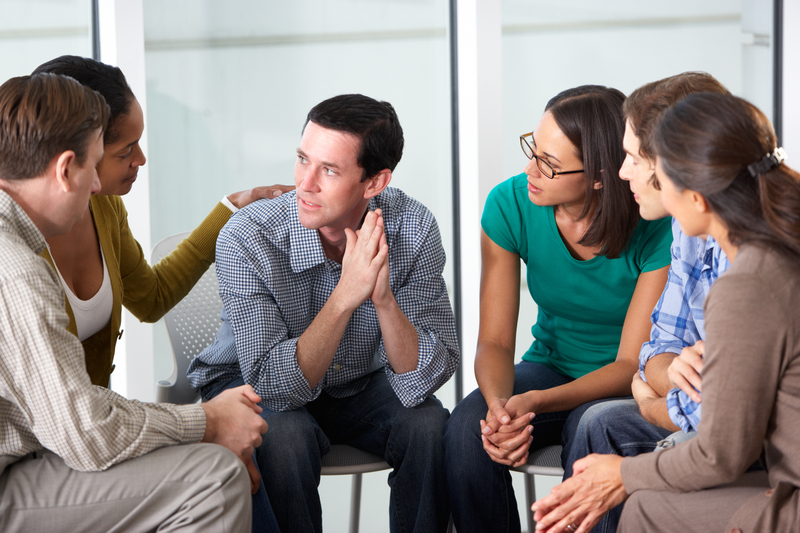 At some point in your process of recovery, you need to realize how important a support circle is. You can’t make a lasting recovery without support. This means enlisting your friends and family to help you. Understanding that you need these close friends in your life and recovery will help you get over the fear you may have about talking to your friends. You probably have multiple groups of friends. You should choose wisely who you talk to. You should certainly tell your closest friends, but also consider telling the friends you go out drinking with. They should know that when you go out, you aren’t going to be drinking anymore. They can be your first line of defense, making sure you don’t even think about ordering a drink. Unfortunately, some of your friends may not understand your decision to stop drinking. It’s hard to do, but don’t dwell on the thought of them leaving you. If they were true friends, they would respect you and help you overcome your alcohol addiction. This feeling of abandonment can be devastating, but remember that this isn’t the end of the friendship. One day these friends will realize that the alcohol life isn’t for them, and you will be able to help them out of their alcohol addiction. Telling your friends about quitting alcohol is only one of the opening steps in your journey to recovery. Realize that you will need to change a lot of things in your life. However, making those later steps with the support and advice of friends will make you journey much easier. Previous Post: « Why Is It So Hard to Ask for Help?